After a busy slate of games over winter break, the men’s hockey team picked up its first win of the season this past weekend over Conn. College by a score of 5-2. Following the victory, the Cardinals’ record stands at 1-8-7, with a 1-3-5 record in NESCAC play. The two points over the Camels preceded a 4-1 loss to Tufts on the following day. The real tragic loss, however, occurred after the contest on Saturday, when the Redbirds were informed that their Assistant Coach Jim Langlois passed away. This season was Langlois’s 35th behind the boards at Spurrier-Snyder Ice Rink. He began in 1980, serving as the women’s coach from 1980-1984 before joining the men’s team. Junior Captain Robby Harbison ’17 reflected upon the passing of Langlois. Clearly, Langlois was treasured by his players, and will be dearly missed. While most students on campus were studying for finals and enjoying the winter break, the team was busy playing a whopping twelve games. 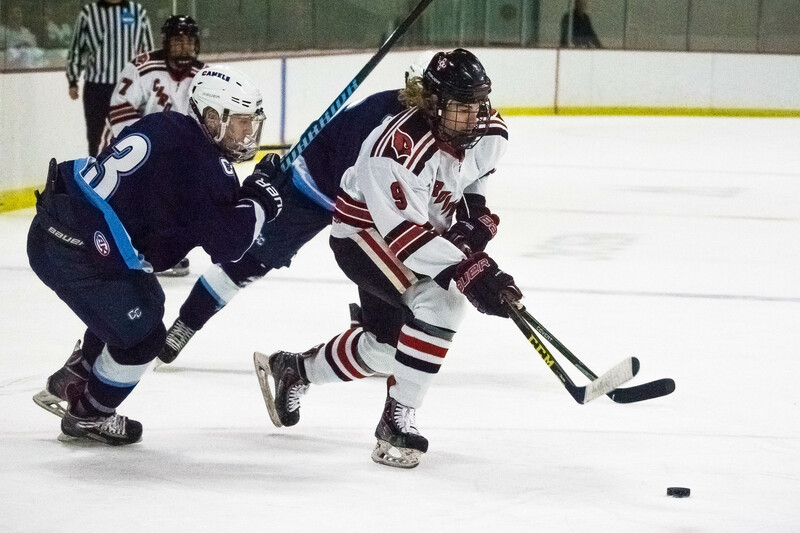 Following their tie at Stonehill College on Nov. 29, the Cardinals earned one point each against Amherst, Middlebury, Bowdoin, and Colby, while suffering defeats to Hamilton, Williams, Elmira College, Hobart College, Norwich University, Manhattanville College (in overtime), and Tufts. Despite a single win, the team’s seven draws have them currently in seventh place in the NESCAC, ahead of Tufts, Colby and Conn College. Harbison analyzed the team’s performance so far this campaign. While ties have kept the team afloat so far this year, a few additional wins would surely boost their position for postseason seeding. On whether or not he thought the team was playing up to its full potential, Harbison offered the following thoughts. Finally, Harbison reflected upon his role as a leader on the team – something that will become even more important in the wake of the passing of Langlois. As they continue their push toward the playoffs, the squad will have Coach Langlois in their hearts. The future of their season, which resumes this weekend with home games against Amherst and Hamilton, is still in their hands.